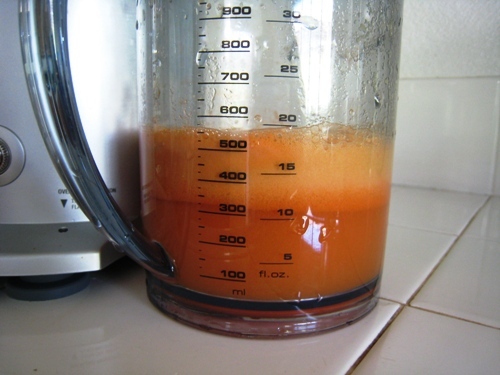 A home juice extractor can make it quick and easy to make homemade juices from fresh fruit and vegetables. 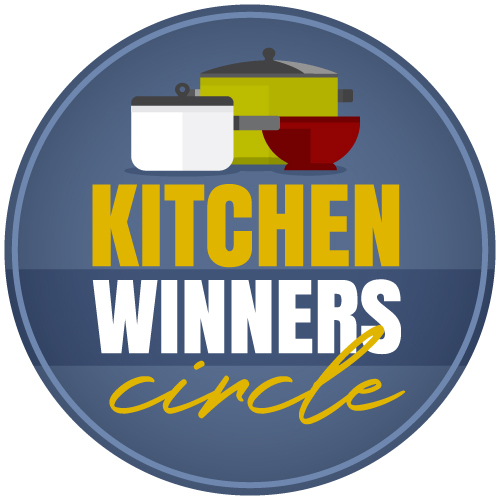 If you’ve been following my small kitchen appliance reviews, you have caught on by now that I’m far from being a minimalist in the kitchen. I like my gadgets. Better yet, I like having the right tool for the job. Until I started this series, I honestly didn’t realize how many small appliances I actually owned! Hmmm…. While I’ve had my share of small kitchens and minimal storage space, our current kitchen is pretty large. I don’t really want to be bogged down by lots of stuff, but there are some kitchen appliances that really do make my life easier. That means they are worth the kitchen real estate they consume. One newcomer to the scene over the last year is my juice extractor. Over the last couple years, I’ve received a weekly produce delivery from Abundant Harvest Organics. For $36 a week, I receive all the fresh produce my family of 8 can eat. We rarely use it all up before the week is out. But, I hate waste! I’ve had to be creative to avoid that. Last summer when I had peaches coming out my ears, I started investigating juicers. In the fall I took the plunge. Making homemade juices has been a fun learning experience for both me and the kids. 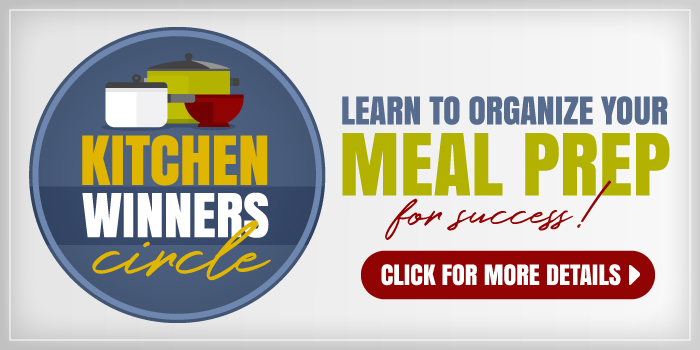 We try different combinations of fruits and vegetables depending on what’s in season. I can’t wait for peaches to arrive again! 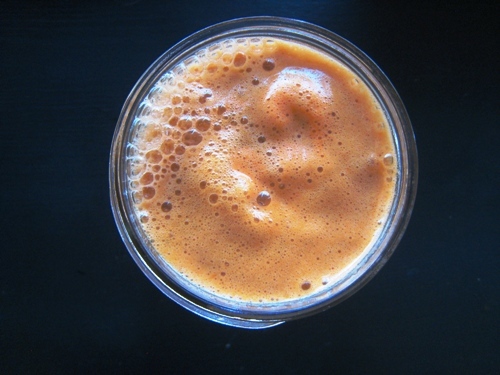 At our house, homemade juices serve as a supplement to what I hope is a healthy diet. I’ve been trying to reduce our overall sugar intake thanks to my experience on the Whole 30. I found that learning to use the juicer is pretty simple. Though I am usually loathe to read the instructions, I did read the manufacturer’s booklet that came with the machine. 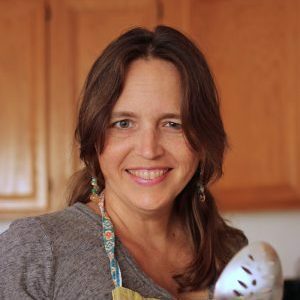 I usually collect my choice of fruits and vegetables in a bowl, scrub them well with a brush and vinegar spray, and then trim off parts that I wouldn’t eat if they were for fresh eating. I’m diligent about trimming bruises and the like to preserve the integrity of the juice. Then I just feed it through the machine. The kids have loved almost everything we’ve tried, though they shy away from too much celery, not yet embracing its salty taste. I recently found out that their buddies who live next door also get a daily dose of homemade juice which makes it fun for us moms to swap notes. 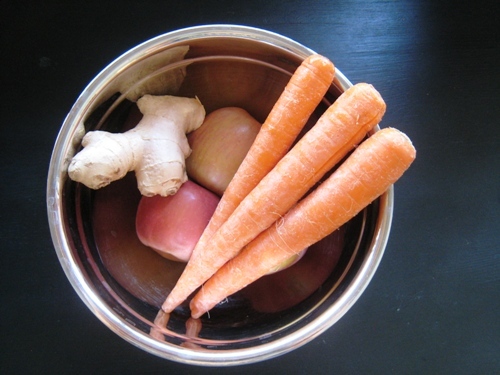 One of our favorite juice blends is this one, Carrot Apple Juice with Ginger. This juice is packed with healthy goodness: beta carotene from the carrots, vitamin C from the apples, and antioxidants from the ginger. Using different varieties of apples will give different nuances of flavor to the juice. This juice is also great for fighting off colds. Scrub the produce well. Trim as you would for fresh eating. Juice according to the machine manufacturer’s recommendations. It’s imperative that you wash your machine out immediately. If you do it right away, it will only take a few minutes. If you wait, well, imagine the baby’s high chair the next morning after you forgot to wipe it down after last night’s dinner. It’ll be a gummy mess! I usually line the pulp basket with a bag for easy cleaning later. I use a zip top bag if I’m going to use the pulp in baking, which allows me to just toss it in the freezer until I’m ready to bake. I use a recycled grocery bag if I’m going to discard the pulp. I rinse most of the other parts with very hot water and give them a scrub if needed. The juicing basket, of course, is the messiest part. I typically let it soak in a bowl of soapy water for a few minutes and then scrub it with the brush that came with the machine. Ours is a Breville Juice Fountain Plus. Again, consider buying one at Bed, Bath, and Beyond with one of their 20%off coupons. There are many, many juicers to choose from. I love this model for how easy it is to assemble and take a part. Last fall I tried out the cheapest model that Walmart carried. I couldn’t even find it online. It worked well, but it was really difficult to take apart. If something is hard to clean, you probably won’t use it that often. So keep that in mind. Friends have recommended I get an auger-style masticating juicer (like this or this), but I’m just not up for that price point. Those typically get more juice from the produce, thus reducing waste. However, I’ve read enough good thing about the Juice Fountain that I feel it’s a good move for our family. I save the pulp for baking whenever I can to cut out the waste issue. What’s your experience with a juice extractor? Love it or hate it? Let us know in the comments. Love! I have enjoyed adding broccoli stalks to my juices. I actually juice and blend. I Juice all I can….high water content. Then I pour the juice in the high speed blender and add in spinach and kale, and sometimes frozen strawberries. It is wonderful. Thanks for these great Ideas. I am going to pin this post. I purchased a Hamilton Beach Big-mouth Juicer a few weeks ago. It was listed as a Consumer Reports “best buy,” and at $50 I have to say I am really happy with it. 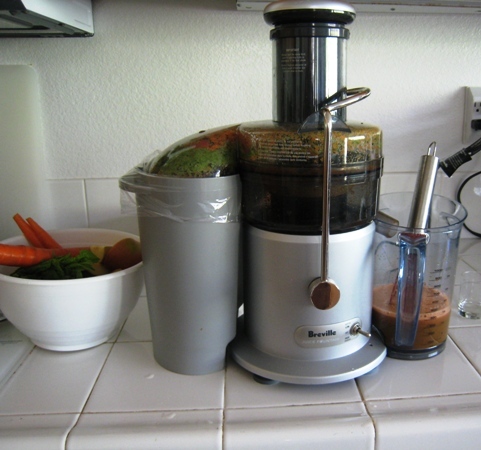 I had never juiced before, so while I liked what I found out about the Breville, I wasn’t ready to invest that much. When I use this one out though, I’ll go for it. I love juicing! I used to have trouble using all the produce in our produce box, but now I don’t throw anything away. I have noticed an improvement in my level of energy (especially in the afternoons,) and somehow I’m not craving sweets as much. Bonus! My daughter absolutely loves it when I make juice popsicles, and it helps prevent waste. If I have too much produce on hand, I juice it. I serve everyone a portion, and freeze the rest in ice cube trays. About 30 minutes later I add toothpicks for handles. So when there’s a dessert request I can say yes and still feel comfortable knowing my family is getting nutrients. Amazon had this one on sale for $227 about a month or two ago & I bought it.. I just had to pull the trigger at 50% off.. I’ve been watching them for a couple years and that worked for me. I love my juicer & I love the live juice it creates.. I have a Vita-Mix which I used to make smoothies with but it was sort of reminiscent of sludge instead of juice.. so this has been wonderful. I love mine! Carrots, apples, oranges & ginger go into every juice I make… then I add all sorts of other things too.. whatever I have or feel like at the time. I got a Hamilton Beach Big Mouth Pro last June. I had coupons where it ended up costing me only $20! That was a great deal, especially since at the time I wasn’t sure if it was going to be a much used appliance or a shelf decoration appliance. It is very much a used appliance! I use it daily and love it. If I had the extra $$$ I would upgrade to a Breville as that is a fantastic machine but for now, my little big mouth fits the bill. I love to juice, just don’t have the extra time in the mornings. Do you juice on a daily basis or do a large batch to keep in the fridge? I make it fresh each time. @AllieZirkle, I buy it at Sprouts. Weird that it’s expensive. I bought my Champion juicer in 2000. I used it pretty much daily for several years. I somehow got out of the habit and have not used it much lately. I need to start juicing again. I did carrot, apple, and pineapple a lot. I never thought to put the ginger in it, but I bet that would be good. I wouldn’t say it was expensive, but it certainly isn’t overly cheap here, either. @Sandi, some of my kids love it with ginger. Some don’t. You say you use the pulp from apple and carrots for baking? have any recipes for this? would love to know more about reducing this waste! I do. I’ll email you since I don’t have them posted. My question, too! I would love to use the pulp in something. I bought a Breville juicer and it has been a hit with my family! Love your blog!!! Depending on how wet your pulp is, you can use this recipe: https://goodcheapeats.com/2009/11/mix-and-match-muffins/ and use the pulp for up to 1 cup of the mixins. Start there for the ration and then work it up from there. Baking with pulp is a very “trial and error” kind of thing since pulp can be so very different. I love my Omega 8004. I got a great deal online over Christmas and love using it. It’s really not hard to clean, it’s just a matter of rinsing and air drying. I do make a couple days worth of juice at a time since I’m spending the time cutting up veggies. My kid’s favorite combo so far is pineapple, orange and carrot. The carrot cuts the super sweet and adds tons of good stuff for them. We usually just add a little of everything, whatever we have, to my husband and my juices. A little apple, lemon, celery, kale or spinach, parsley, ginger and carrots. I usually go a little heavy on the lemon and it tastes like lemonade. I love the 8004 because it easily juices the greens without any extra effort. I used butternut squash with oranges and carrots today. All the kids liked it.